Winter has finally arrived and that means colder days and longer nights. While many dread winter, some enjoy it because of some of the activities one can do. Some of the best wintertime activities include bundling up in a blanket, listening to a fire in the fireplace, and drinking hot beverages. For most of us, tea and hot chocolate are the most common hot beverages but another popular hot drink during the winter is taken in the form of a hot apple drink: mulled apple cider! Mulled apple cider is a warm and cheerful fruit drink that has been enjoyed by millions for generations. Mulled drinks go as far back as the 18th century. At first, a red hot poker was originally used to add sugar and cloves to alcoholic drinks like beer or cider. Nowadays, mulled drinks can be made non-alcoholic with just plain apple cider (apple juice that is technically “raw”). Allspice, anise (usually star anise), cloves, citrus peels, and cinnamon are the most common ingredients used as mulling spices to help bring out the warm flavor of the apple cider. You can add other spices like peppercorns or nutmeg, it’s totally up to you! But the spices are usually ground together and steeped using cheesecloth, muslin, or empty teabags. Some people make little baggies of these mulling spices and give them away as gifts or simply use them in cakes or other baked goods. 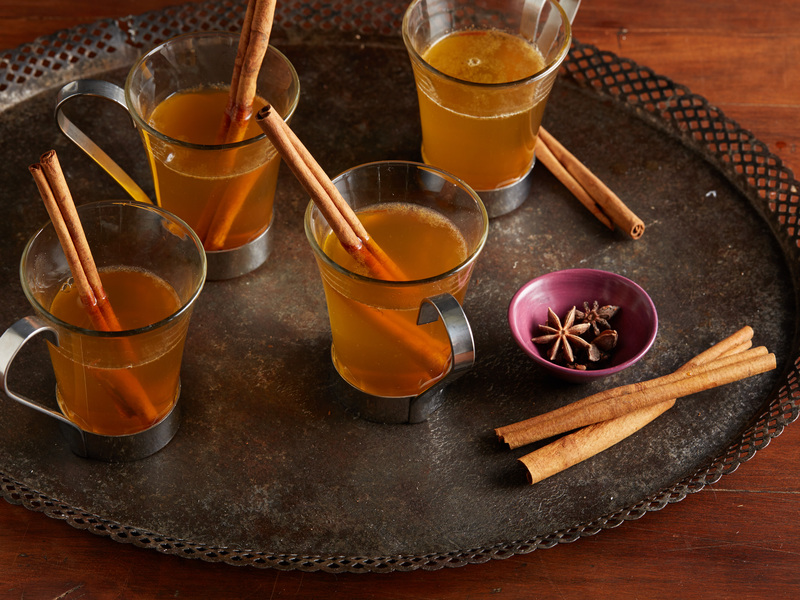 Mulled cider is usually popular during the fall and wintertime. Once the holiday season passes, people still enjoy the drink all the way until at least spring or summer. The smell of the spices always signify the start of colder weather and of better times. Enjoy a warm cup along with a few biscuits or cake and curl up with a good book!